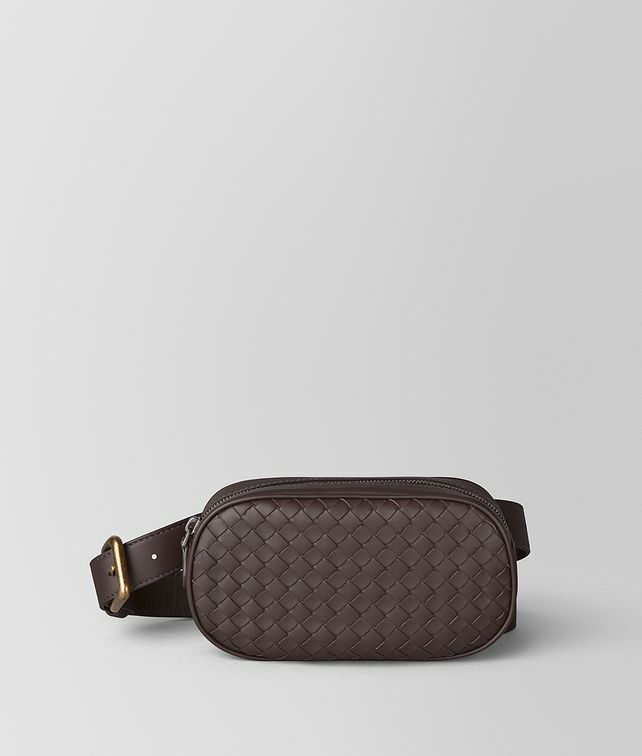 Both streetwise and sophisticated, this new belt bag is made in a compact oval shape from soft nappa. The body of the bag is crafted in smooth leather while the front panel features our iconic intrecciato weave. The utilitarian bag features an interior zip compartment and a leather strap with a dark gold buckle. The style can transition to a cross-body with the easy adjustment of the strap.